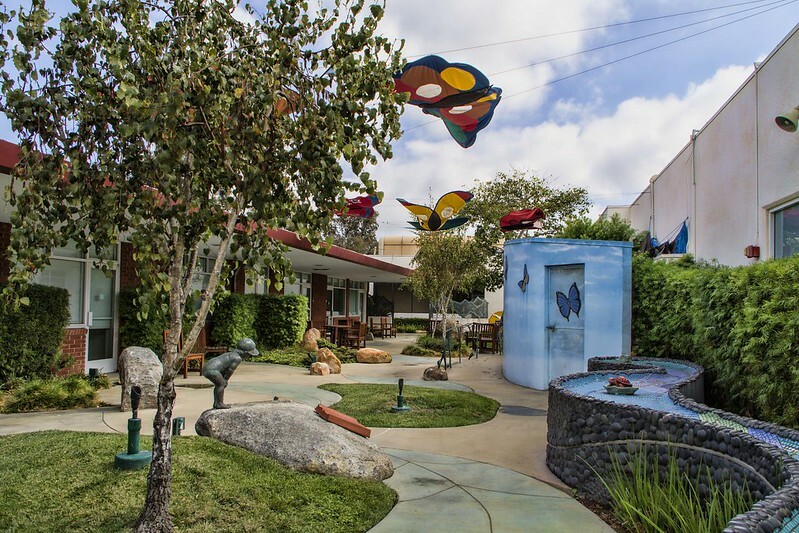 Along the corridor that runs from Nelson NICU at Rady Children's Hospital in San Diego (where my grandson was staying) was an open area called the Garden of Dreams. It is a beautiful place, intended to offer families a place to go to have a little chance to escape and take their minds off their medical care. 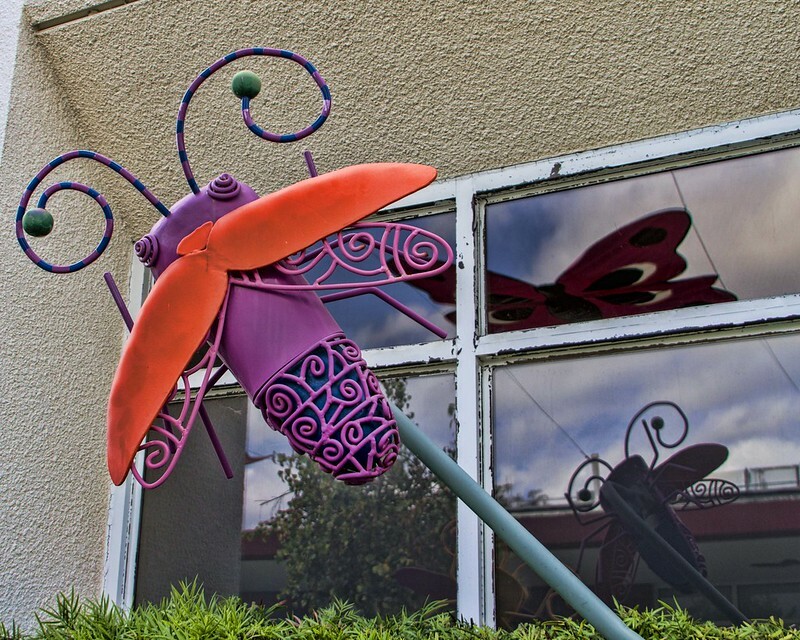 To quote the Children's Hospital website: The concept of this garden is rooted in our commitment to consistently nourish the physical, emotional, mental and spiritual needs of children, their families and our staff through our healing environment. Our wish is that when visitors leave the garden, they will feel strengthened and renewed. The path through the garden meanders under huge sailcloth butterflies flying overhead where bugs of all colors and sizes can be found. 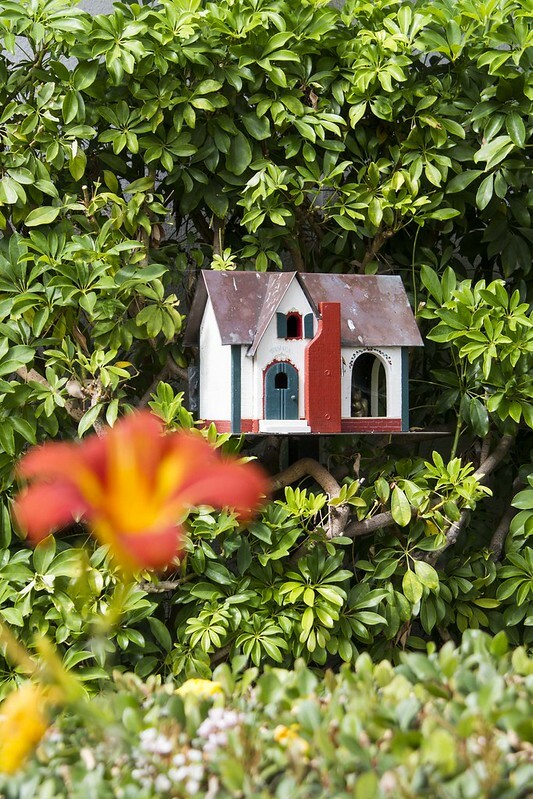 The garden is a place of refuge. The theme of nature and art is intended to bring a peaceful feeling to all those who center.